The ruling APC said it does not deserve any blame for not zoning the position of Senate President or that of the Deputy Senate President to the South-East. The party was reacting to the outburst of Uzor Kalu, who said that unless the APC makes him the Deputy Senate President of the 9th Senate, he will fight to become the Senate President. 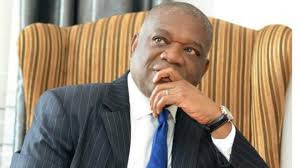 According to him, rather than getting angry with APC leadership, Kalu should blame his people in the South-East for putting all their eggs in one basket by rejecting President Buhari and casting over 90 percent of their votes for Atiku.